Your employees rely on different IT systems in order to do their jobs and help your company to run efficiently and effectively. Sometimes systems go down as a result of scheduled maintenance and system upgrades. Other times they might go down because of an outage, a virus, a cyber attack, a software glitch or a hardware failure. Whatever the situation is, it’s important that you communicate details of the outage to your employees in a timely manner. Keeping them informed will reduce the number of calls you receive at your IT help-desk while also giving peace of mind to your employees that the situation is in capable hands and you are working to resolve it. Keeping them up-to-date as the situation develops and changes can also help them to plan their workloads so they can perhaps complete other work that doesn’t rely on the IT systems during the time of the outage. What is the problem? 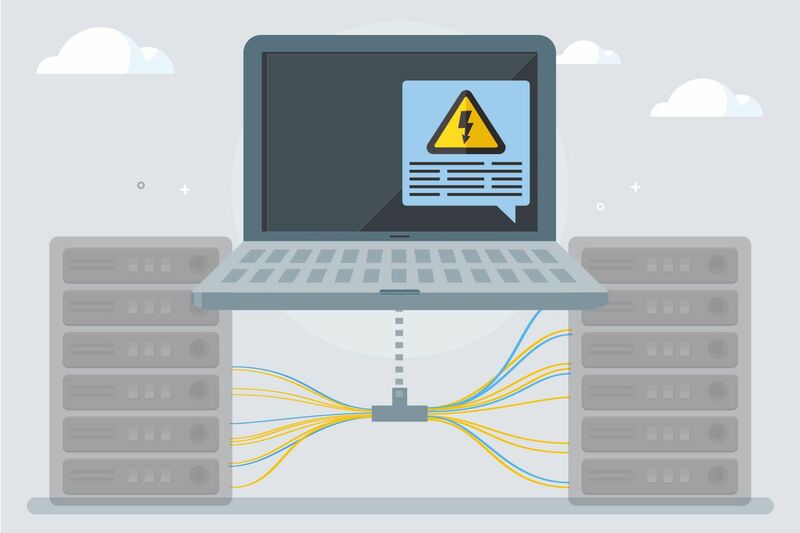 Outline the issue that is affecting systems, eg: internet outage, virus, server failure. What is the cause of the problem, if known? Which locations is it affecting? Is it widespread throughout your organization or just confined to one specific geographic area? Is it affecting only some users? Is it affecting everyone? What can your employees do? Do they need to take any actions or steps to make things work on their end, or do they need to wait it out? When will the problem be fixed? This gives your employees an idea of how long the systems will be down. If you don’t completely know, you need to specify this. Give an estimated time of restoration if possible. When will you provide a further update? If you have a complex issue that needs to be solved, resolve to communicate with your employees at regular intervals letting them know what progress has been made, or if there is a change to the expected restoration time. When the systems have been restored you should send a further notification to your employees letting them know that things are back up and running again. When it comes to sending IT outage notifications, you also need the right tool for the job. Many organizations have turned to DeskAlerts for this particular task. DeskAlerts is a system that lets you send pop-up notifications about IT outages (both planned and unplanned) straight to employee desktops. 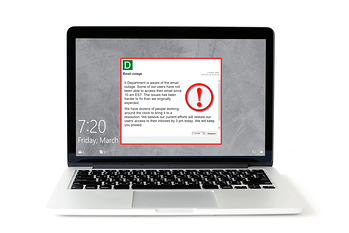 DeskAlerts notifications can’t be ignored, skipped or minimized and can be sent even if your employees’ computer screens are locked, on standby or in screensaver mode. You can create templates in advance for IT outages so all you have to do when one actually occurs or is scheduled to occur is fill in the relevant details and hit send.